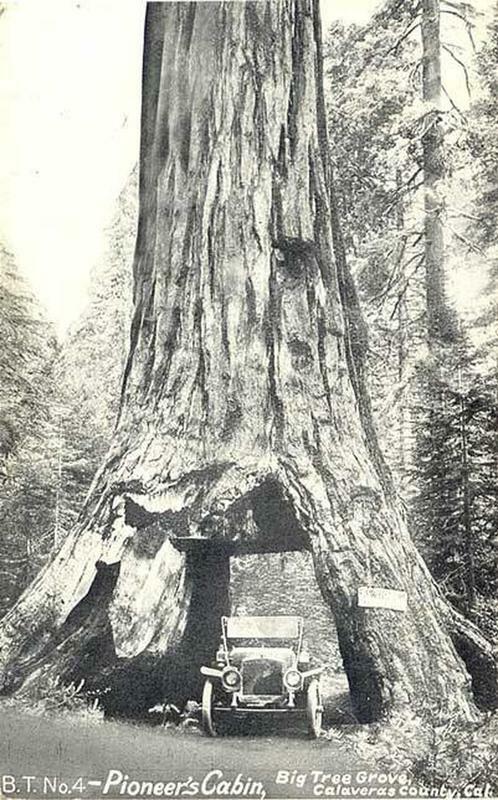 Pioneer Cabin Tree, viewed here in 1923. The tree was knocked over when California and Nevada were immersed by a seasonal weather system called the Pineapple Express, an "atmospheric river" that stretches across the Pacific from Hawaii to the US West Coast, according to meteorologists. 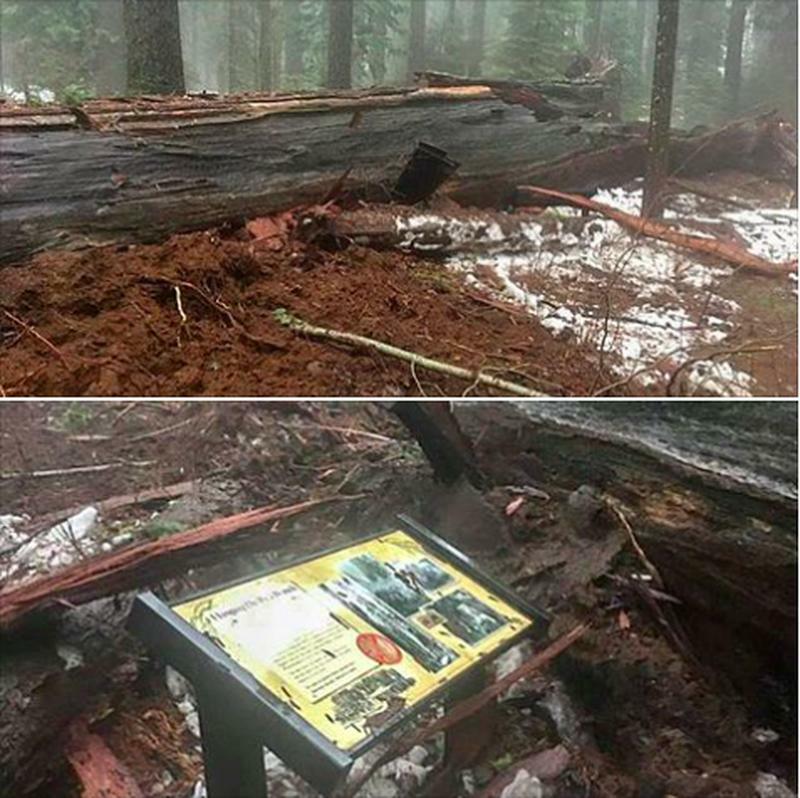 The storm was "just too much for it", says Calaveras Big Trees Association in a Facebook post that has drawn nearly 2,000 comments. "Many memories were created under this tree," one mentioned. "They will remain good memories." Others would suggest that the tree might have existed longer if it had not been carved with a tunnel. "You can't cut a hole in a tree like this and expect it to live," said one comment. "This hole always bothered me so much. Why not just drive around it?" According to Jim Allday, the park volunteer, the Tunnel Tree shattered as it collapsed and hit the ground. "We lost an old friend today," he stated in a social media post. 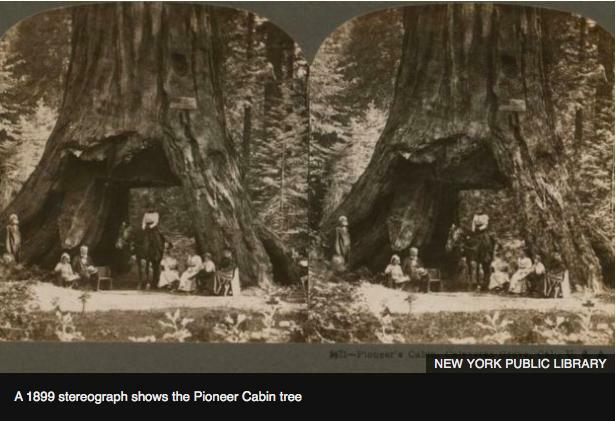 Giant sequoia trees are nearly related to the redwood tree, which is regarded as the tallest tree species on earth. 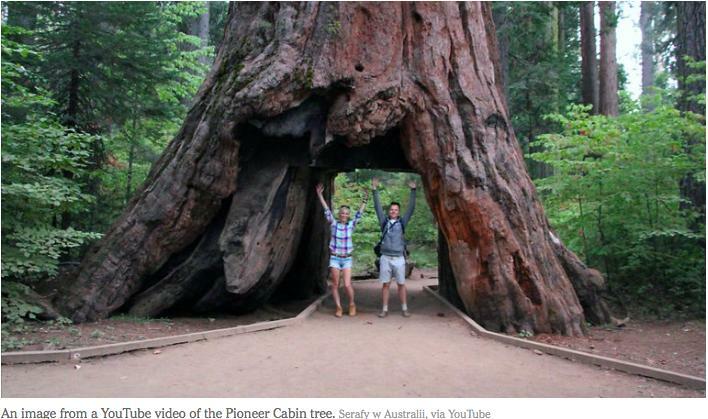 It reaches 250ft (76 metres) high and only grows in the groves of California's Sierra Nevada mountain range.